We uphold to the philosophy of services with dedication and customer comes first and offer sophisticated services with casualty and tranquility. We take care with thoughtful mind for all your needs and work around the clock. Our spacious venue, friendly services and quality and exquisite delicacies will accommodate and meet your requirement for casual gathering or business parties with satisfaction. We also offer private rooms（reservation required） for guests to spend a pleasant night with singing and food. 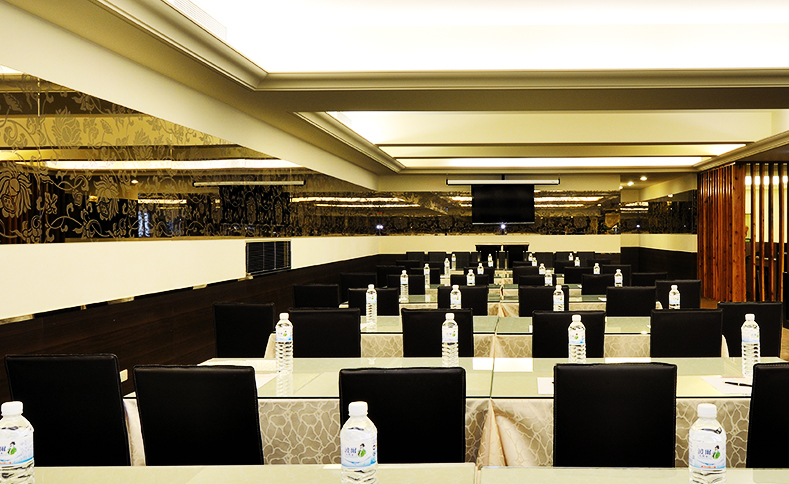 The venue accommodates 186 VIP seat while banquet venue offers 18 tables. Up to 3 tables are available for private rooms. 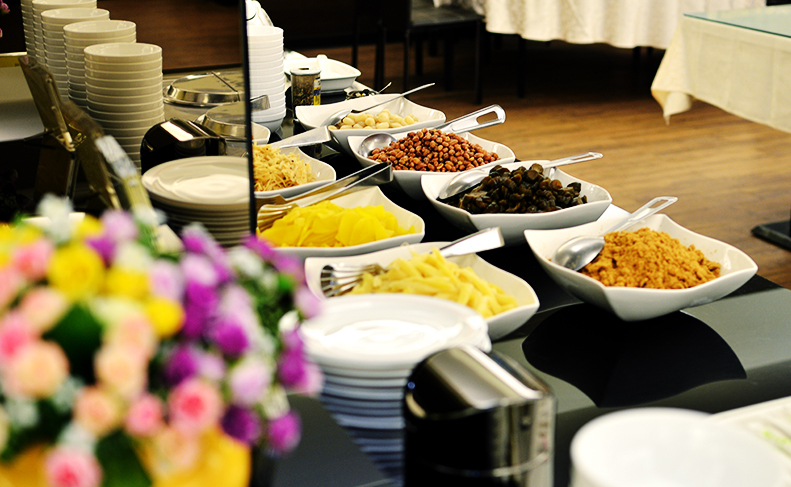 Buffet breakfast with a variety of Chinese and Western cuisines. A La Carte, set meal or prix fixe menu. Corkage will be charged for guests bringing their own beverages to the restaurant. NT$500 per bottle for average wine and NT$1000 per bottle for spirits will be charged. The restaurant only offers one private room according to reservation sequence. Please confirm and reserve in advance. The hotel offers outfield conference room and personal meeting room. Tables and chairs can be arranged according to conference type. Preferential rate is available for accommodation. Outfield conference room: Accommodating 100 people. Personal meeting room: Accommodating 20 people.